Set in Tokyo, this novel is about the investigation of a crime and the psychological effects of guilt and suspicion on those involved in it. The crime itself is the murder of Togashi, ex-husband of Yasuko, a youngish woman who works in a bento shop (snack bar providing takeaway lunches). The reader knows who committed the murder and why, but not the details of how the crime was covered up to avoid detection. The police, led by Kishitani, become involved when someone reports a dead body down at the river. First, the corpse has to be identified via missing-persons reports. This causes Kishitani to focus on Yasuko, her friends, employers and neighbours. One neighbour (in fact the only one mentioned in the book as being interviewed), a mathematics teacher called Ishigami, inadvertently reveals that he is an alumnus of Imperial University, where Kishitani also studied (sociology), and where he frequently goes to consult a friend and kind of Sherlock Holmes figure, Yukawa, who has helped on previous cases via his scientific insights. It turns out that Ishigami and Yukawa were old classmates who have lost touch, so Yukawa reconnects with his friend and begins to make his own enquiries about the murder, as he comes to suspect that Ishigami is somehow involved. In the meantime, the official investigation continues in parallel, as Yasuko finds herself sinking further and further into deception and away from the “normal” life she craves for herself and her daughter. The plot of the novel is clever, in that the reader begins one step ahead of the police but gradually realises that the story is more complex than a simple crime and a cover-up. However, the author maintains a narrow focus so there is a lot of information that we aren’t told. Why are there so many avoidable holes in people’s alibis and accounts of what happened on the fateful night? What is the significance of events that seem not to fit with anything previously told to the reader, for example why a particular bicycle was stolen? While the detectives accrue evidence and witnesses, fear and paranoia escalate among the subjects of the investigation, until all is revealed in a double-twist ending (part of which is a bit of a cheat). Despite the neat ways the author makes mathematical study an allegory for the story, including Ishigami’s gradual disillusion with the discipline as he comes to realise you can’t apply mathematics to everything in the world (as most of us already know), I did not engage with this book. The prose is flat and the text is written in colloquial American style, so all the characters think in American slang and descriptions are Americanised, ruining a great deal of the atmosphere that would have been provided by use of Japanese words and phrases instead of them being substituted for their American equivalents*. The characters are two-dimensional, with important avenues left unexplored. This is most marked in the case of Yasuko’s young daughter, the character whose role in the story interested me the most, and whose dramatic actions bookend the plot – she is basically ignored. Unfortunately, I found the whole thing rather boring and neither cared about nor was moved by the final revelation — because none of the characters seemed like real, three-dimensional people. *Via Jackie of Farm Lane Books, there are minor variants between the UK and US editions, eg “maths” and “math”, respectively, but the overwhelming sense of the UK edition is of an American book. Read other (positive) reviews of The Devotion of Suspect X: Euro Crime, Farm Lane Books, The Independent, Reading Matters, Mean Streets, Yet Another Crime Fiction blog, The Crime Segments and, the only one of these reviewers who liked the book as little as I did, Reactions to Reading. Incidentally, the Reactions to Reading review provides many details of errors and holes in the plot, for those who would like some evidence of these, as I did not provide them in my review. It’s not nice to be glad someone didn’t enjoy a book I know, but it feels so frustrating to be the lone voice in the wilderness that it is comforting to be joined out here. I have had someone at work berate me for not “getting” this book and I don’t think they appreciated me saying there was nothing to get. Yes, Bernadette, we both had similar views to Before I Go To Sleep by S J Watson. I guess we’ll have to accept our minority status where some of these “wow” books are concerned. In particular I was not impressed by what was concealed from the reader about the investigation of the body in the river, but won’t write more here because of spoilers. “Villain” was also rendered into Americanised language in the same way as here, but the emotional strength of the story, as well as the plotting, made it possible for the reader to transcend the vernacular. Not so here, sadly. Thanks, Margot. I hasten to add that I have no objection at all to US English, I love to read the US vernacular in US books. But the Japanese transations that I’ve read are invariably into colloquialised “American” which does not preserve local nuances and atmopshere – unlike European and S American translations I’ve read which convey a strong sense of place (whether translated into US or English english). I know exactly what you mean, Maxine. I’ve found that in Scandinavian translated fiction that I’ve read, too. Sorry you didn’t enjoy this one Maxine. I enjoyed reading your review though. I agree with some of the criticisms raised by yourself and Bernadette, but what can I say? I still enjoyed the story despite the lack of place and the prose being flat as it was indeed flat but I allowed myself to be carried along. I am keenly interested in reading more in this series and I’m intrigued by Yukawa, who is said to be featured in the series. This novel did get nominated/recognized for an Edgar award but I feel it probably won’t win but it was nice to see it nominated though. Thanks, Keishon. It is nice to see a translated novel nominated for an Edgar I agree. But that Edgar award is weird – not necessarily this year but in previous years I’ve seen some really substandard rubbishy books on the shortlists. Just goes to show what I know (see exchange above between me and Bernadette!). Interesting review. I’ve only read Matsumoto from Japan so I’m not sure what I would expect from a Japanese crime novel. I think a flat American style would put me off but there is enough in your review for me to consider reading it. I’ve never been to Japan but I have two really good Japanese friend now living back in Tokyo and I am a big fan of the Japanese. Once you get below the surface reserve (such a cliche I know but true) the culture and attitudes are absolutley fascinating. It’s going on my reading list! Well it is a popular book, Sarah, I’m in a minority. There are two reviews on Euro Crime now, as Michelle reviewed it last Sunday (and Karen a bit earlier). I found Villain (also Americanised) a much more powerful book at showing the Japanese characters – https://petronatwo.wordpress.com/2011/09/21/book-review-villain-by-shuichi-yoshida/ – but either way it is indeed a fascinating culture/society to read about. Maxine, I won’t bother with this one even if it is shortlisted for the International Dagger, because if both you and Bernadette didn’t like it the odds are I would be bored. 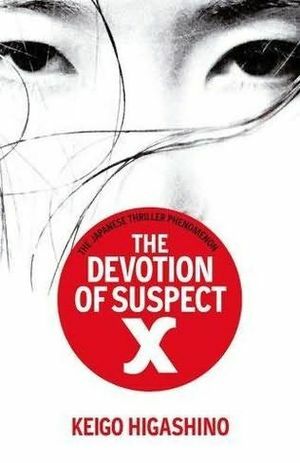 For me this was about my 5th Japanese translated crime fiction novel and I have found similarities in what appears to interest the Japanese crime fiction reader and I suspect their tastes are very different to ours. We are often bothered when we know who the perpetrator is right from the beginning whereas in these novels we often know who it is and the focus is more on the intellectual/emotional effects on both the perpetrator and those who know what he/she has done. Yes, I’ve certainly noticed that theme in the half-dozen or so Japanese crime novels I’ve read, too, Kerrie (by various authors). It isn’t a device I mind, so long as it is done well! Sorry I failed to pick up your review in my post, it can’t have come up in my search. I’m sorry you didn’t like the book, I’m skimmed reading your review for now because I want to read it myself later… I’ll come back later this year! As always, appreciate your honest review. I can see why you had problems with this book, but despite the fact I didn’t care about any of the characters I wanted to know what happened to them . I was swept along by the clever plot and so the Americanisms didn’t bother me.I admit that there wasn’t much Japanese atmosphere, but there was enough to give a sense of place and it was obvious from reading this that it was set in Japan.I’m normally the one voice who goes against the crowd, so I know exactly how you feel. Hopefully we’ll both enjoy the next one.